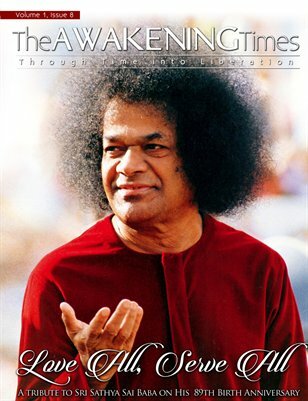 Home Who is Sai Baba of Shirdi? The second advent of Baba at Shirdi, around 1858 was interestingly quite different from the first. This time he accompanied a wedding procession as guest of honor. On the arrival at Shirdi, he was immediately recognized by someone as the same anonymous saintly personality who used to be seated under the neem tree a few years earlier and, greeted Him as “Ya Sai” – Welcome Sai. He donned a long shirt – ‘Kafni’ and tied a cloth around his head, and twisted it into a flowing plait like manner behind his left ear. He used a piece of sackcloth for his seat and slept on it with a brick as his pillow. He always declared that Fakiri (Holy poverty) was far superior to worldly richness. He was no ordinary fakir but an ‘Avatar ’ (incarnation) of a very high order. But His external appearance was of simple, illiterate, moody, emphatic – at times fiery and abusive and at times full of compassion and love. In the moments of towering rage people with him thought it was ungovernable rage. But his anger never prevented his compassion dealing with the devotees. His anger was evidently directed at unseen forces. He enacted all these simple traits only to hide His real identity as the God incarnate. Under the cover of simplicity He silently worked for the spiritual transformation and liberation of innumerable souls – human beings and animals alike, who were drawn to Him, by an unseen forces. Baba used to freely distribute all the money that was received in the form of Dakshina to the destitute, poor, sick and needy the very same day. This was one of Baba's methods for testing out the devotees attachments to worthy things and willingness to surrender. He was every moment exercising a double consciousness, one actively utilizing the apparent Ego called 'Sai Baba' dealing with other egos in temporal and spiritual affairs, and the other - entirely superceding all egos as the Universal Ego or Over soul. He was the common man’s God. He lived with them, he slept and ate with them. Baba had a keen sense of humour. He shared a ‘chillum’ (clay pipe for smoking) indiscriminately with them to write off the cast superiority and orthodoxy in their minds. He had no pretensions of any kind .He was always very playful in the presence of children. Baba used to feed the fakirs and devotees and even cook for them. Sai Baba's perfect purity, benevolence, non-attachment, compassion and other virtues evoked deep reverence in the villagers around him. His divinity could not conceal itself for long. Initially when people wanted to worship him formally, Baba protested and dissuaded them. But gradually he allowed it with the prescience that it would become the means for temporal and spiritual benefits to millions of individuals for all time to come. Please add on more articles.